Three days ahead of the HomePod's launch in the United States, United Kingdom, and Australia, Apple has now allowed the first full reviews of the device to be shared online. 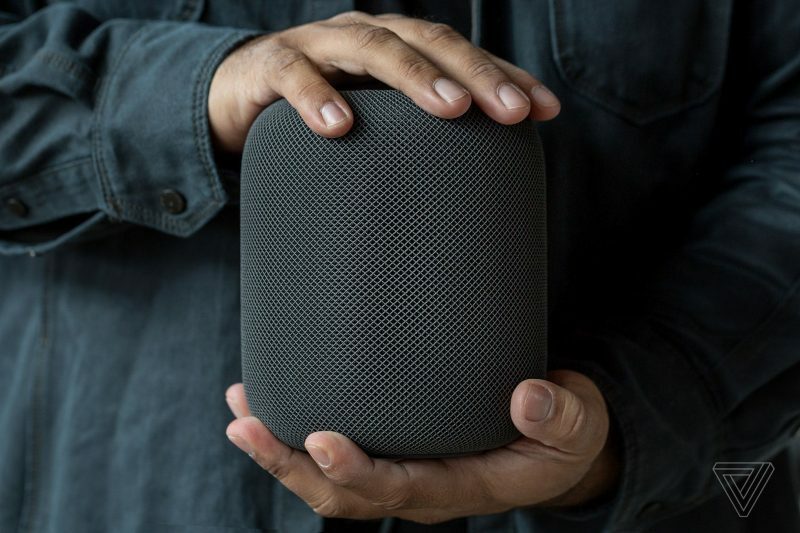 While opinions regarding specific features of the smart speaker fluctuate among reviewers, it appears that one constant remains: HomePod provides great, high-quality sound that beats most devices in the price range, at the cost of an underperforming AI assistant and the user getting further tangled into Apple's walled garden. Nilay Patel with The Verge emphasized this feeling of being trapped in Apple's ecosystem by stating that he thought the HomePod as one of the "loneliest" of Apple's devices. He liked the audio and build quality of the speaker, which he said provided an impressive amount of bass that never overwhelms, and ultimately sounded "richer and fuller than almost every other speaker we’ve tested." Still, his recommendation for HomePod was specific: it's only for those who live in Apple's walled garden and "prioritize sound quality over everything else." All of this is why I started thinking of the HomePod as “lonely.” It feels like it was designed for a very demanding person to use while living alone entirely inside Apple’s ecosystem. It’s tied more closely to a single iPhone and iCloud account than any other smart speaker, and Siri has none of the capability or vibrancy of what’s happening with Alexa. Apple can try to move mountains by itself, or it can recognize that the HomePod is a little iOS computer for the home and let developers build on it as they have for so long and with such great success with the iPhone, iPad, and Mac. The HomePod is a remarkable new kind of audio device. It does more to make music sound better than any other speaker of this kind has ever done before, and it really, truly works. But unless you live entirely inside Apple’s walled garden and prioritize sound quality over everything else, I think you’re better served by other smart speakers that sound almost as good and offer the services and capabilities that actually fit your life. Joanna Stern with The Wall Street Journal noted that during her week of testing the HomePod, Apple's device "nails the speaker but struggles at smart." Stern noted that while Siri is a "good butler" for various HomeKit tasks, all of the usual issues remain when asking Siri other normal questions. The HomePod has an iPhone processor and pairs with your iPhone—yet it can’t make a phone call? To use it as a speakerphone, you need to start the call on your iPhone then select the HomePod as an audio source. You can, however, send text messages from the HomePod with just your voice. There are more things the HomePod can’t do, despite being hooked to your iCloud account and iPhone. It can’t tell you your next calendar appointment. It can’t alert you to new emails or texts. It’s also missing crucial third-party apps like Uber and Venmo. 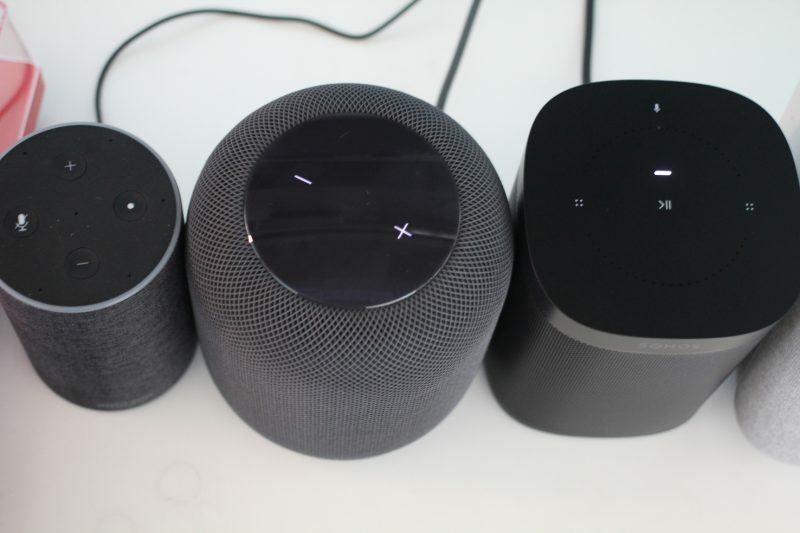 Matthew Panzarino with TechCrunch noted that HomePod's ability to recognize commands at a distance, even while music is playing, is one of the device's strong suits, but also explained that most of these commands are still limited by Siri. Panzarino provided a few further details of other parts of HomePod, favoring the attention that Apple paid to the flexible, braided power cord and "seamless" ability to move HomePod from room to room and have it automatically connect to "any network known by your phone" within a few seconds. Panzarino also went further into details about the sound quality of HomePod, describing it as "precise." The sound that comes from the HomePod can best be described as precise. It’s not as loud as some others like Google Home Max or as bright (and versatile) as the Sonos Play 1, but it destroys the muddy sound of less sophisticated options like the Amazon Echo. To genuinely fill a large room you need two but anyone in a small house or apartment will get great sound from one. The HomePod was the “best” sounding. It’s nuanced and subtle with great separation and clarity across all kinds of music. The Play 1, for instance, had decent mid range but an overly bright high end with just the out of the box calibration. At maximum volume, the Play 1 became shrill and painful where the HomePod maintained balance. There are plenty of other reviews and opinions on HomePod coming out today, so below we'll list a few other reviewers and a quick snapshot from their respective articles. With the HomePod in the center of the room, for example, I heard distinct wedges of good (and less good) sound around the speaker. Sometimes the front sounded great and the back not so much. Sometimes the best sound came from 90 degrees on either side. Apple says the speaker adjusts itself based on room position, and as I moved the speaker around I could hear the difference as it recalibrated. Overall I found that the HomePod sounded best placed against a wall or in a corner, which is fine since that's where most people will probably place it anyway. To be absolutely clear, there was no comparison in sound quality. HomePod offered so much more quality that it was quite literally laughable to hear the others. The only speaker that sounded decent was the Sonos One, but even it couldn’t compete with HomePod. It’s hard to explain the sound of HomePod, but you get a feeling that the sound is enveloping you, even when using just one speaker. There is a sense that this is how the songwriter and producer wanted the song to be heard when they recorded it. The result is a speaker with a deep bass and rich treble that is loud enough to fill a large room with superb sound. HomePod makes the Amazon Echo and Google’s Home sound muffled and tinny in comparison. But Siri on HomePod is embarrassingly inadequate, even though that is the primary way you interact with it. Siri is sorely lacking in capabilities compared with Amazon’s Alexa and Google’s Assistant. Siri doesn’t even work as well on HomePod as it does on the iPhone. Other reviews: USA Today, iMore, Telegraph, Pocket Lint, The Independent, and iJustine. Apple's ignorance on Siri's development in recent years is really starting to show up. Siri has become the Village idiot among smart assistants. .. and the problem with homepod is *drumroll* SIRI! This is where they’ve failed. I keep stressing this over and over. You cannot have a smart speaker assistant that’s not smart lol. There is a a percentage of people who will still buy the HomePod regardless. But the market isn’t in the speaker. The market is in the assistant! Apple should use some of their billions in retained cash to buy up a few AI companies to bring Siri up to speed faster. There is nothing smart about any of them. All i need is weather sometimes, control my lights and play music which it does just fine. I would hope a speaker that costs $150 more than Sonos One sounds better. The fact that it’s comparable says a lot about the value in Sonos One. That’s a lot of people for Apple to pay off. So basically, the best hardware available in the space with issues that could be addressed in a software update? Can't wait for some real audio reviewers to review these devices. This is my experience every day. She's not that great. Apple should also take a cue from Alexa and have "Skills" like abilities.